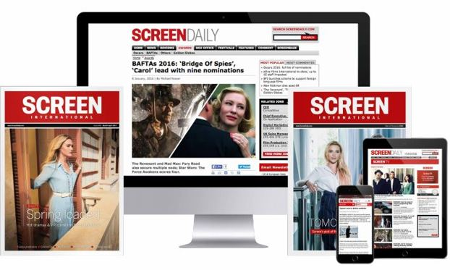 Cinema chain and distribution label to be recognised at this year’s Bafta ceremony. Arthouse cinema group Curzon will receive the outstanding British contribution to cinema award at the 2017 Bafta film awards (held on 12 February). Curzon operates a network of 15 independent cinemas, as well as distribution label Curzon Artificial eye and video-on-demand platform Curzon Home Cinema. The innovative cinema brand opened in 1934 with the Curzon Mayfair and now has venues in Soho, Canterbury and Sheffield. Distribution label Curzon Artificial Eye, which celebrated its 40th anniversary last year, champions new and classic cinema from Britain, Europe and around the world. Its catalogue includes works by Andrei Tarkovsky, Satyajit Ray, Claire Denis, Charlie Chaplin, Lynne Ramsay, Michael Haneke and Mia Hansen-Løve. The outstanding British contribution to cinema award is presented annually in honour of Michael Balcon, the British film producer known for his work with Ealing Studios. Previous recipients include Mike Leigh, Kenneth Branagh, Derek Jarman, Mary Selway, Ridley and Tony Scott, Working Title Films, Lewis Gilbert, the Harry Potter series of films, John Hurt, Peter Greenaway, Tessa Ross and BBC Films. Angels Costumes received the award last year. The Baftas will be held at the Royal Albert Hall in London this year and once again the ceremony will be hosted by Stephen Fry. La La Land leads the way this year with 11 nominations.